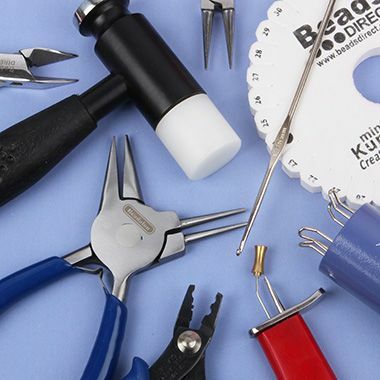 Start your jewellery making journey with the right tools and learn all about their different uses below. 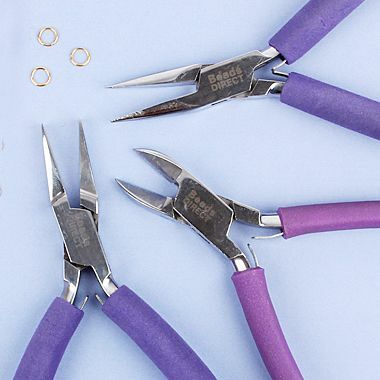 We recommend investing in a set of essential jewellery makers pliers to help get you started. You can find several different sets and individual styles to choose from including a set with a useful padded carry case and a set of mini pliers to take with you on the go. 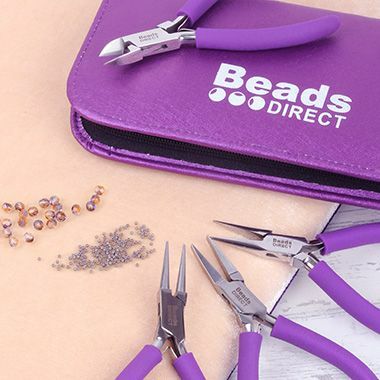 The ‘Professional 4 Piece Jewellery Plier Set with Case’ shown in the image here provides you with everything you need to begin your jewellery making journey. Find out more about the basic jewellery pliers with our useful video! Snipe (Chain) Nose Pliers – these are best used for gripping and bending. Flat Nose Pliers – great for closing jump rings and for flattening crimp beads. Side Cutters – ideal for cutting Beadalon wire. There are so many skills and techniques to learn with a huge variety of tools for beading, wirework, crafting, embellishment and more! Explore more interesting tools and expand your jewellery making skills!